"House of Ghostly Haunts": Cardone mentioned in Spook Show Article ! Cardone mentioned in Spook Show Article ! This was an honor for Cardone...... he was mentioned in an article about the greatest Spook Show Magician Bill Neff .... have a look ! 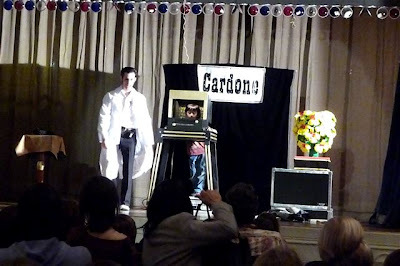 Two of Cardone's Illusions were built by the same guy who built magic props for Mr. Neff. One of the Illusions was a feature and one of Neff's favorites .." Frame of Life and Death"
Two reviews for the Spook Show ! Welcome to the Spook SHow !